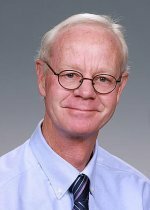 Congratulations to Dr. Bill Morgan on his election to the 2010 Board of Directors of the National Council on Radiation Protection and Measurements (NCRP). NCRP was chartered by Congress in 1964 to support radiation protection by providing independent scientific analysis, information, and recommendations that represent the consensus of leading scientists. The Board of Directors is the NCRP's policy-making body. It consists of the President, the Vice Presidents, and nine other members, all of whom are elected by the voting members. Dr. Morgan is Vice President of NCRP's Program Area Committee-I (PAC-1) that covers basic criteria, epidemiology, radiobiology, and risk. Dr. Morgan, who is Director of Radiation Biology and Biophysics at Pacific Northwest National Laboratory, is a leading researcher in the fields of radiation biology and the long-term biological effects of radiation exposure. He leads PNNL's Low Dose Program, which is sponsored by the U.S. Department of Energy Office of Biological and Environmental Research. Morgan is a scientific representative for regulatory agencies such as the United Nations Scientific Committee on the Effects of Atomic Radiation, the International Commission on Radiological Protection, and the Environmental Protection Agency's Science Advisory Board Radiation Advisory Committee.